If you’re a phone addict like us, you would already know of the apps that are making lives easy. Be it groceries, or a simple pick-up and drop of a parcel, we don’t remember the last time we had to bear the heat to get things done. Well, that’s what technology does for you – it makes things simpler and more comfortable. Don’t believe us because you’re still doing all the running by yourself? Well, here are 5 app delivery services that run a full swing network in Delhi, and go beyond crazy to meet even the smallest of your needs . Ever came across people in orange t-shirts zooming past your vehicle with a huge bag full of goodies? Well, we certainly have. And the numbers seem to be increasing every day. Grofers is your mobile grocery store that will pick up just about anything you need from any local store near you, put them together and deliver it at your doorstep in under 90 minutes – meticulously wrapped in a pretty orange bag! Haven’t tried them yet? You should! UrbanHopperz is a brilliant app that offers on-demand delivery services in Delhi and NCR. If you’ll ask what they deliver, the answer is EVERYTHING! From groceries and food to medicines and clothes, they deliver everything that you need. All you need to do is tell them what you want. The best part? You can get anything delivered from Delhi to Noida, if you like – under 2 hours! With more than 14,000 items and over 1000 brand catalogues, Big Basket is every grocery shopper’s heaven. All you need to do is search what you want and add it to your ‘big basket’. You’ll mostly find them all over Gurgaon! ‘Supermarket in your pocket’ – heard that before? 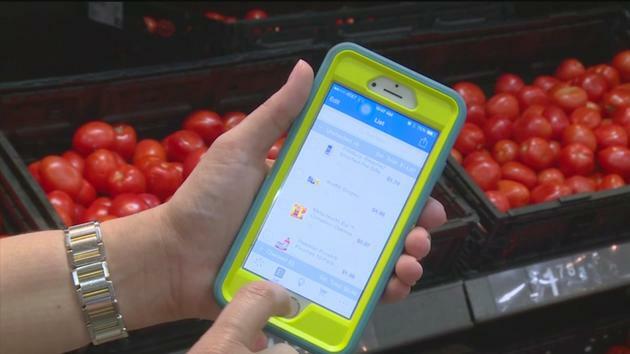 PepperTap is an on-the-go grocery shopping app that lets you choose from an array of products, fresh fruits and vegetables. Delivering all your daily needs at your door, you just need to give them 2 hours to get things done! We’re having cravings for Chandni Chowk’s famous jalebis. We are going to try these apps out. Why don’t you try too! You think you know Delhi well? These lesser known facts about India’s capital might surprise you!